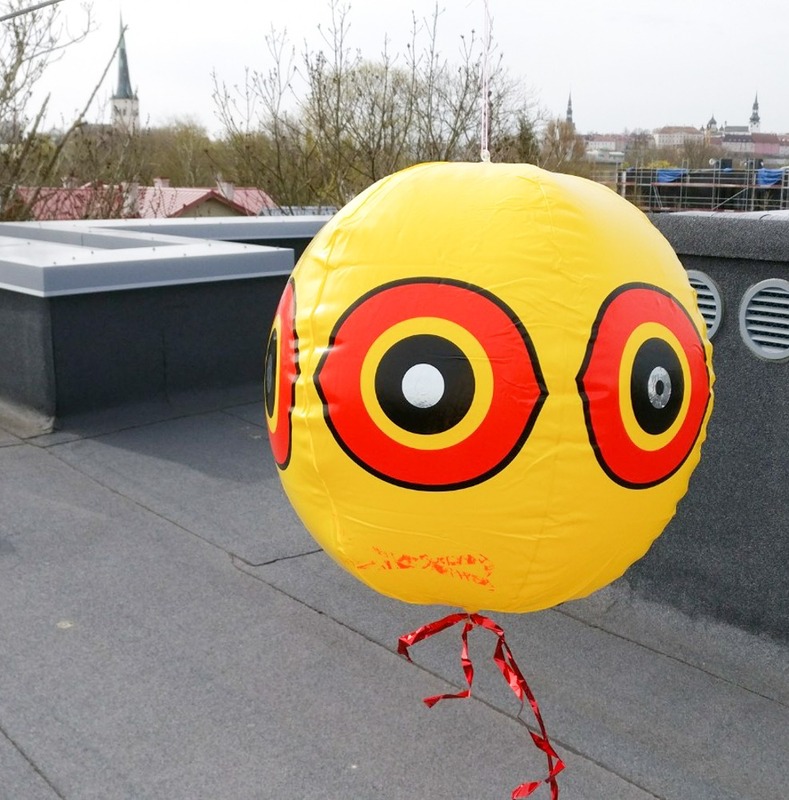 Bird Scare Balloon is a large ball resembling an owl, that is being attached, for example, to a tree branch. Scares birds who’s preditor is an owl. 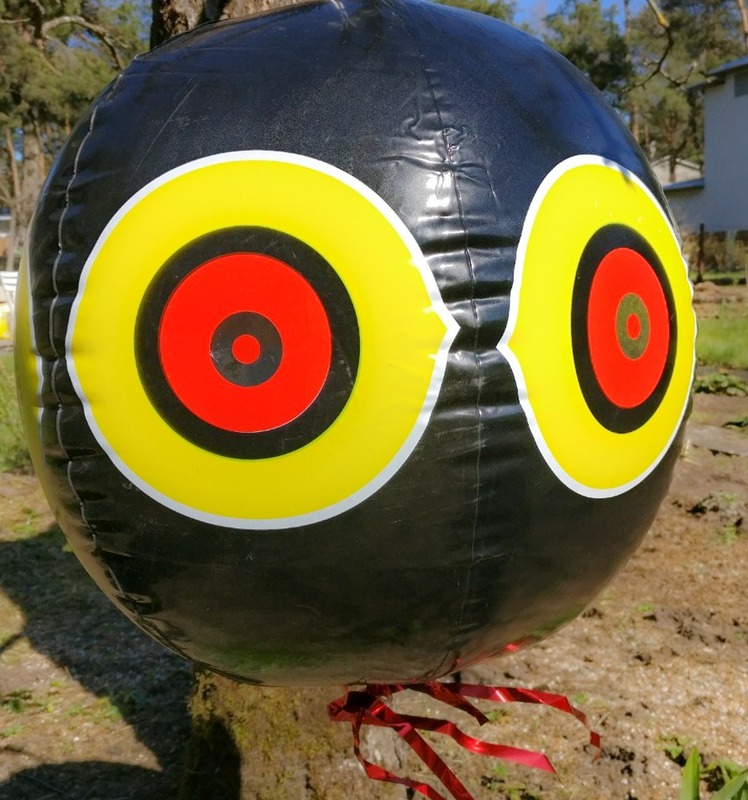 Scare ball keep birds away with simple vinyl ball visual deterrents that move with the wind and intimidate pest birds within visible range. It is an easy to use, cost-effective solution and can be installed anywhere. It gives them a feeling of insecurity, and they will fly away from the protected area. 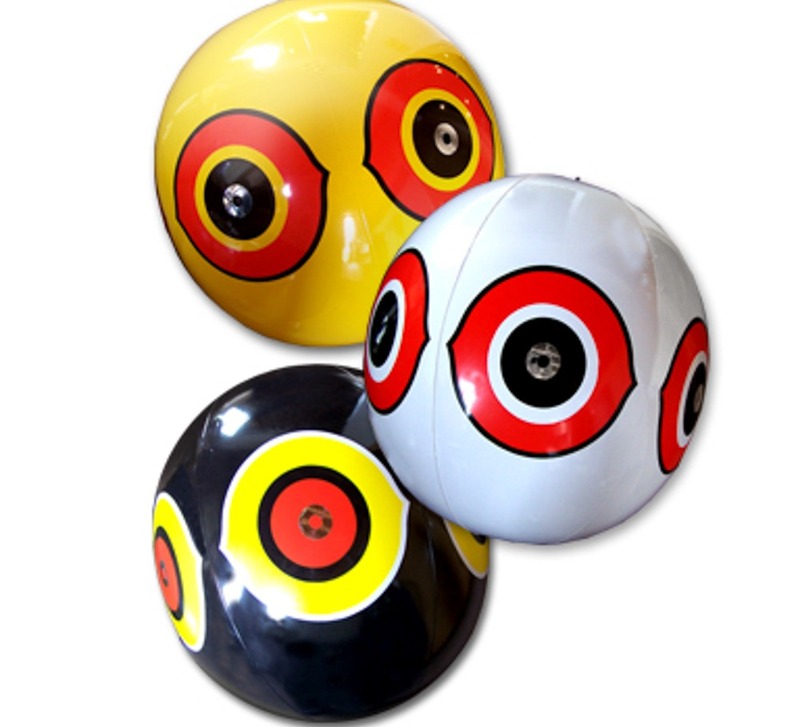 Those scare balls can be used in addition to acoustic repellent devices. 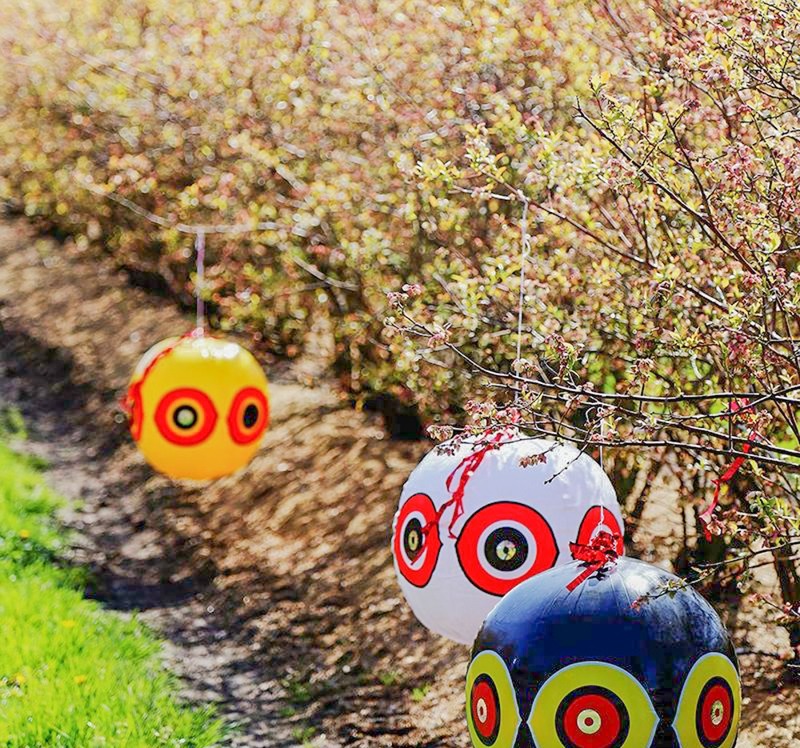 To keep a long-lasting deterring effect, make sure you relocate those bird scarers once a week.